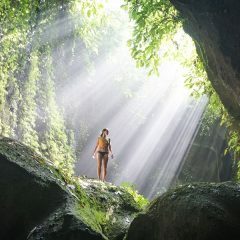 As avid travelers, we have visited many countries and seen some of the most remote places in the world. 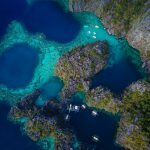 While there is something exotic about traveling to places like Thailand, Nepal, France, Italy, and the Caribbean islands, we often overlook the great things right in our backyard. Including us. That changed in 2012 when we started exploring a lot of the West Coast. We continued exploring, and in December 2015 we quit our jobs to travel the world. We kicked it off with a 3-month road trip from San Francisco to Banff, Canada to Florida and finishing in New York. After 13,000 miles, 21 U.S. states and 2 Canadian provinces, we hit as many National Parks as we could. We saw mountains, bears, waterfalls, bison, redwood trees, canyons, gorges, wolves, rainforests, swamps, islands, beaches, snow, geysers, hoodoos, and so much more. With everything we saw, both Yana and I agree on one thing. The United States has some excellent National Parks. With 59 National Parks, there are many to explore year round that provides a wide array of activities and incredible things to see. Not sure about summer plans this year? What about getting away for Winter break? Don’t let that summer heat or winter chill destroy travel plans, there is always a time to explore. This stunning park out rivals most with its endless beauty. The red rock cliffs are dramatic, with powerful rivers cutting through gorgeous valleys. The canyon scenic drive here is top-notch, but most come for the famous hikes. 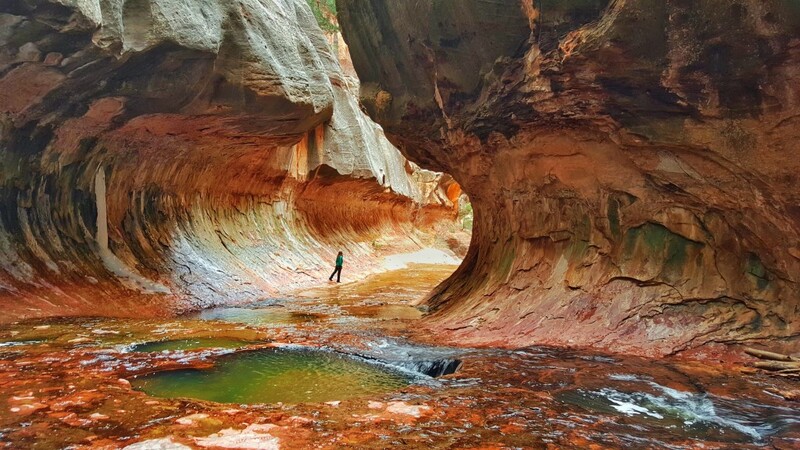 The “Big 3” hikes of Zion are to be taken seriously, hiking on tiny ledges with straight cliffs on both sides (Angels Landing), traversing through waist-deep waters (The Narrows) or repelling down into watering holes within a stunning canyon (The Subway). Some activities may be closed in the winter, however, the park does not shut down. Depending on snowfall, the off-season is a great time to explore this park, with much fewer visitors, and escaping the summer heat. The Subway hike (from the bottom up), Angels Landing, and the scenic drive can all be done in the winter, although be aware of conditions, as ice in Subway and Angels Landing can make these hikes dangerous. The Narrows can only be done during the summer and fall. Read more here about our Subway hike. 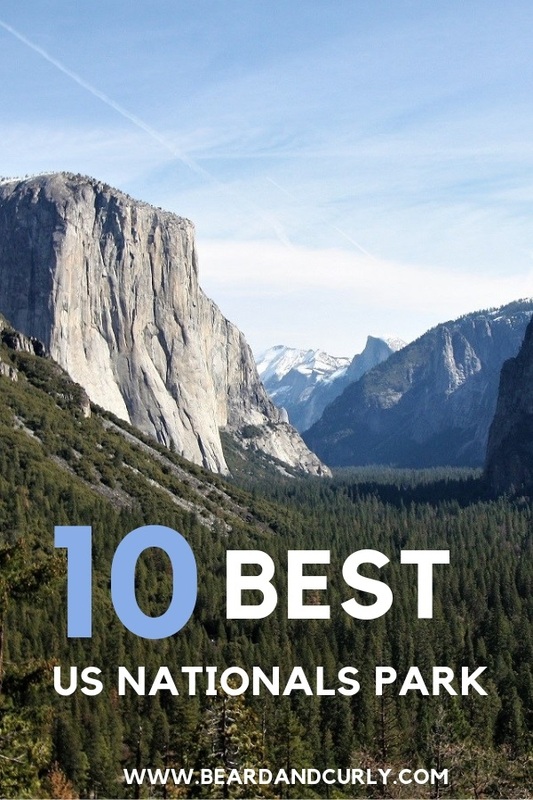 One of the most impressive and popular parks, Yosemite has it all. 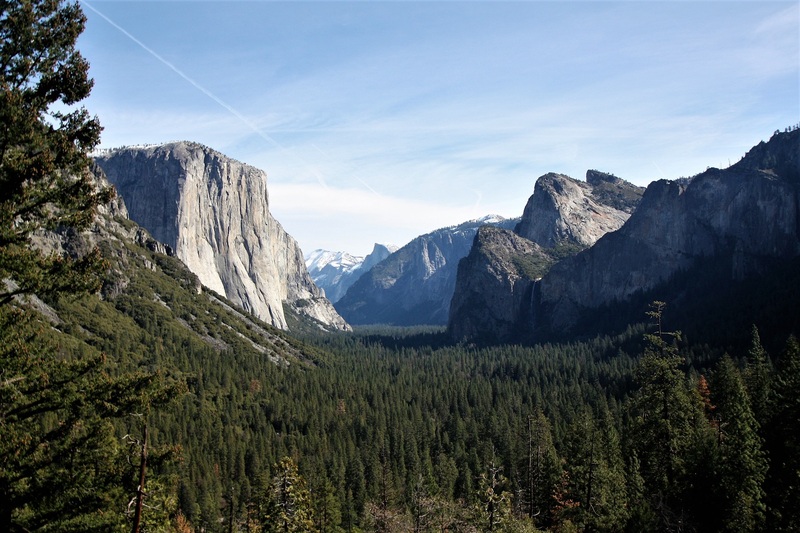 From incredible mountains, a valley with world-famous landmarks, Half Dome and El Capitan, Yosemite is packed with sights to explore. This park also is host to some of the world’s biggest trees, stunning alpine lakes, waterfalls, and some of the best hikes in the Sierra Nevada range. Yosemite also has endless trails to explore, great for backcountry camping. Highway 120 (Tioga Road) through Yosemite is typically closed November through May, so plan trips accordingly. You can, however, cross-country ski, snowshoe, and ice skate in the valley throughout the winter months. Hiking and exploring are best in the late summer and fall. Try to avoid major holiday weekends in the summer, as there is one road and traffic moves very slowly. Read more here about our Half Dome hike. Widely regarded as the world’s first National Park, Yellowstone is known for its abundance of wildlife and volcanic activity. 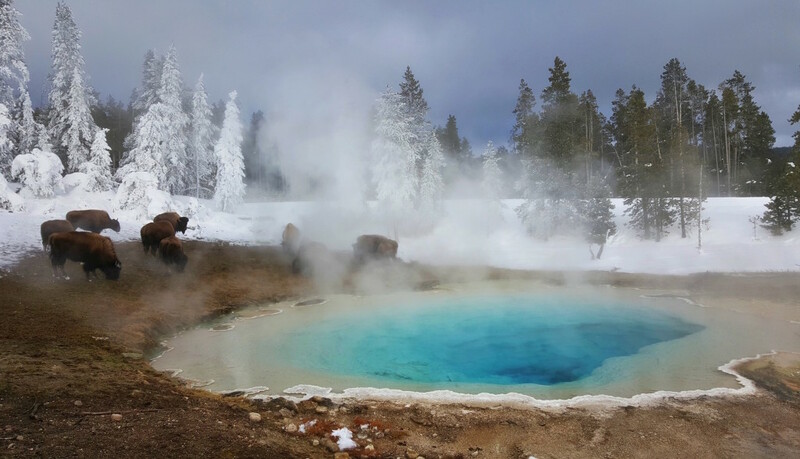 There are many active geothermal areas, including the famous Old Faithful Geyser, mud pots, sulfuric lakes, and hot springs. Camping and hiking are plentiful, with the possibility to encounter some of the wildlife, including grizzly bears, bison, wolves, fox, bighorn sheep, and elk. The roads through the park with the exception of the North entrance from Gardiner to the Northeast entrance through the Lamar Valley, are all closed in the winter. Exploring this park is best May through September, however, winter still brings in lots of tourists. Winter activities include a scenic drive through the Lamar Valley, soaking up in the Mammoth hot springs, and racing around the park on a snowmobile tour in West Yellowstone. Read more here about visiting Yellowstone in the winter. Boasting some of the most unique scenery, Bryce Canyon is filled with amphitheaters of giant hoodoos (a hoodoo is a tall, thin spire of rock). Sunrise is out of this world, and a hike through the hoodoos is a must. 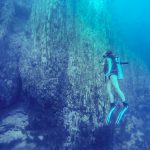 Get up close and personal to these strange rock formations that are seen rarely anywhere else. 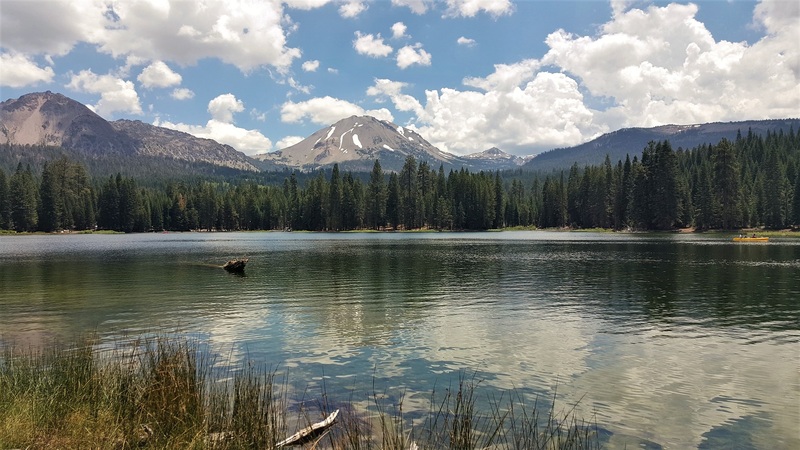 This park is a photographer’s favorite and offers easy hiking trails for everyone. 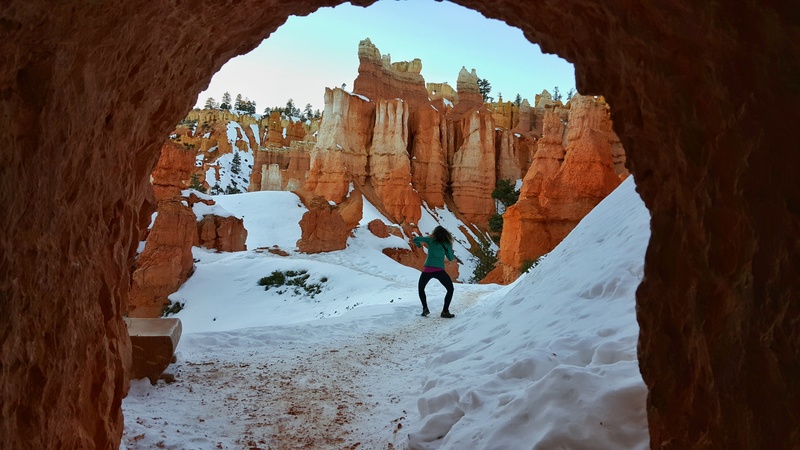 Depending on the snow, Bryce can still be explored in the winter. 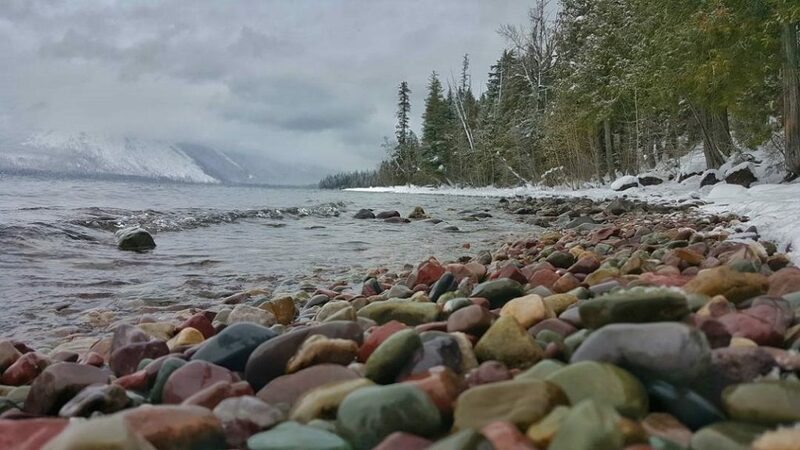 In fact, some of the best pictures are with the contrast of red rock and white snow. Yet, due to its location and high elevation, temperatures get very low at Bryce Canyon in the winter. Most visit the park during the summer, but off-season at this park is the best time to come because of the low number of visitors. Read more here about visiting Bryce Canyon. 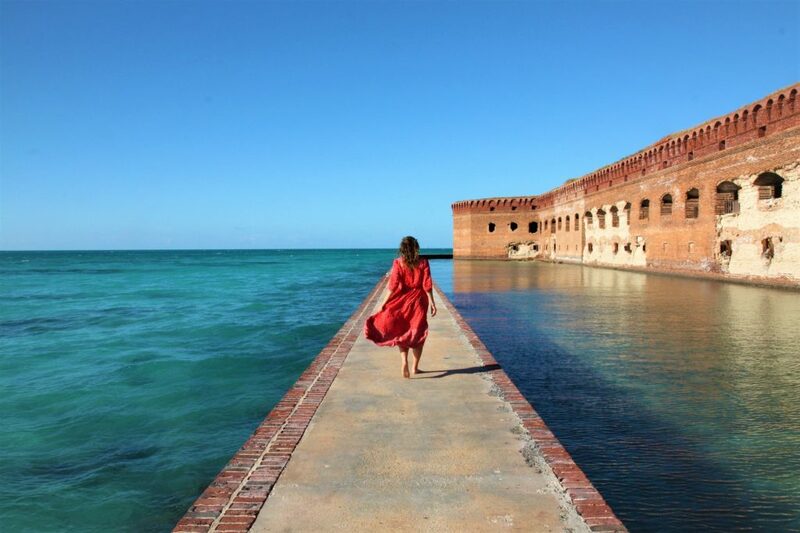 The most remote park in the United States, Dry Tortugas is also the most expensive. Accessible by ferry or seaplane, Dry Tortugas is composed of several mostly uninhabited islands 70 miles southwest of Key West. The main draw here is Fort Jefferson, one of the largest all-brick forts in the world. While most come for a day trip (4-hour visit), the best way to experience this park is by taking advantage of the beachside campsites. Open year-round, however, the summer is the low season due to high temperatures and hurricane season. Book far ahead during the winter. The boat only takes on 10 campers per day and sells out several weeks in advance for camping. If no sites are available do not get discouraged. Keep calling the reservation center and spots may open up. Read more here about visiting and camping at Dry Tortugas. The Grand Canyon may be the most widely recognized park in the world. The World’s largest canyon is so vast it could take weeks if not months to fully explore. Most come for the viewpoints alone, but we recommend to set off on a hike in the Grand Canyon. Even a short hike can give you an amazing perspective. For the experienced hiker, set out on the rim to rim hike. This epic 24-mile hike descends and ascends a total of 10,500 feet. 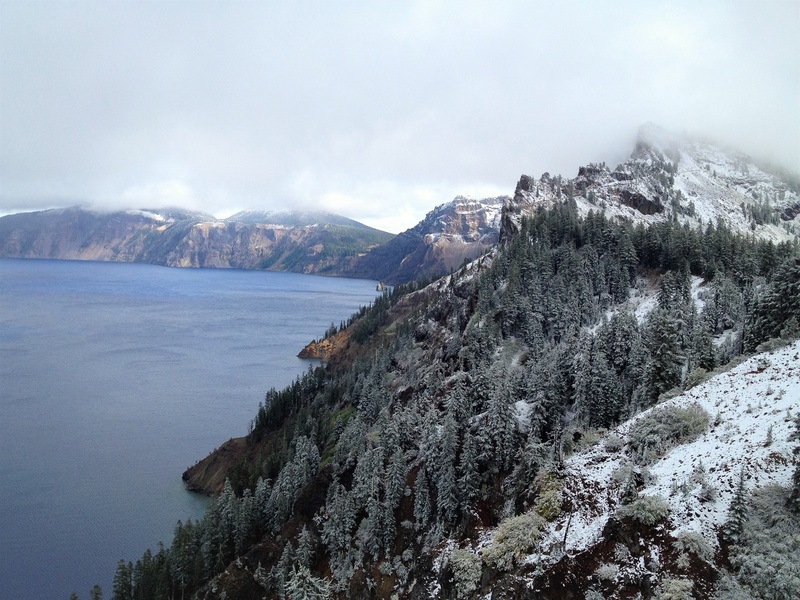 Due to snowfall hiking is seasonal between May and November. Come during the spring and fall when temperatures are reasonable. 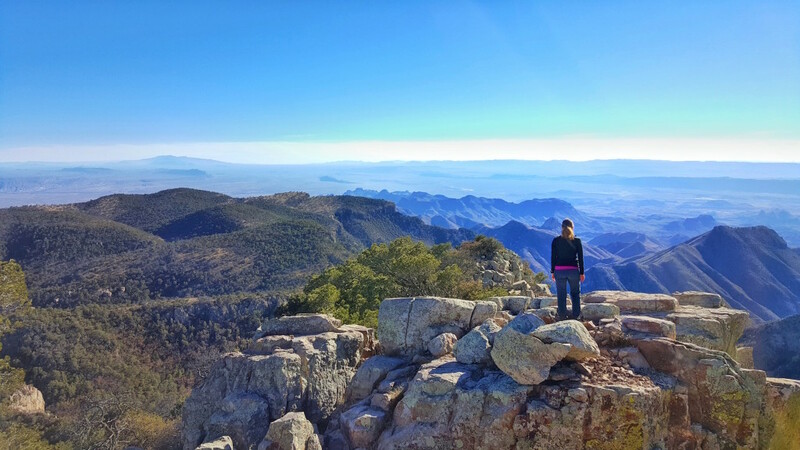 Big Bend‘s stunning scenery is a surprise to many visitors. It is home to scenic drives, beautiful canyons, and excellent mountain hikes. 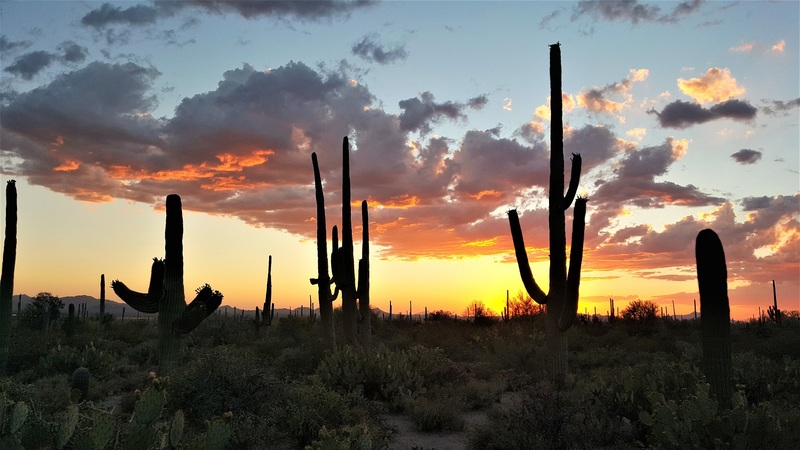 Other activities include soaking in natural hot springs, enjoying world-class stargazing opportunities (it is one of five National Parks recognized as Dark Sky), and even a potential stop in Mexico for lunch. This park is open year-round, and is best during the winter months. Due to high summer temperatures, hiking and outdoor activities can be challenging. Spring and Fall is the best time to explore this park. However, if cold nights are not an issue, come between the months of November and February for solitude. Read more here about Big Bend National Park. This park in Northwest Washington is just a couple of hours drive from Seattle. The Olympic Peninsula has several different ecosystems, making this one of the most diverse parks. From the alpine regions and dramatic peaks to old-growth forests, a rugged coastline, and one of the largest temperate rainforests in the U.S., Olympic has much to explore. Olympic can be visited year round, yet snowfall can shut down most of the alpine region in the winter months. The best time to visit is between May and October to escape the cold winter nights. Want to go to the real outdoors? Getting away doesn’t get further than Alaska, and Denali is the main attraction in a state that hosts eight National Parks. Centered around Denali (previously known as Mount McKinley), is the tallest peak in North America at 20,310 feet. 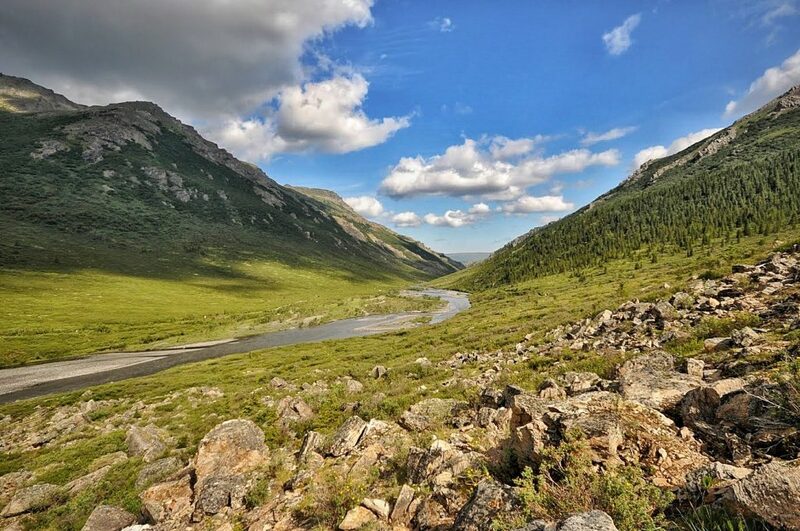 From tundra areas filled with glaciers, old-growth forests and rivers cutting through lush valleys, Denali is a haven for wilderness enthusiasts. The park is home to dense concentrations of wildlife, including grizzly bears, wolves, sheep, caribou, and moose. Some of the common activities include mountain biking, backpacking, mountain climbing, and day hiking. Come between late spring and early fall, when the park is accessible and the harsh winter conditions come to a halt. The bus system in Denali is typically open mid-May to mid-September. Mount Denali is typically covered in clouds and only visible about 20% of the year, but visibility is best in May/June. With some of the most stunning mountains in the U.S., gorgeous alpine lakes, and endless backcountry opportunities, Glacier has found a spot on this list. Just south of the Canadian border, the famous Going-to-the-Sun Road is widely regarded as one of the most scenic roads in the world. There are hundreds of miles of hiking trails, making this a top choice for backpackers and campers. Nearly off-limits in the winter besides cross-country and snowshoe opportunities, come during the summer to best explore this park and its amazing hiking trails. Rock the West Rim trail in zion. 16miles. You’ll need to hire a car to drop you off but saw less than 10 ppl on the trail. Killer views. You can backcountry it for a night or crush it in a day. The sunset/sunrise is worth the overnight. Thanks for the recommendation Zach! We love Zion, there is so much to explore. Fairyland loop same deal- you beat the crowds on the shorter hikes in Bryce and the changing landscape is killer. You can off trail along a dried creek to get some more miles and views. Cable mountain and deertrap in Zion were recd to me by the locals. No crowds, no amateur hour and in my opinion some of the best views in the park. Awesome. Thanks man. We need to get back there! I love your list! I live in Colorado and have been to several national parks. The US really is so lucky to have these resources at our disposal! Yellowstone National Park is my favorite thus far because I love all the volcanic activity. I am hoping to go for my first visit to Glacier in Summer 2018, and Zion is next on my list! Heather you are lucky to live in Colorado. Such a beautiful place. I’m glad you liked the article. I loved Yellowstone. Such an amazing park. We American are super lucky!